With over 1,000 balls on the market to choose from, it’s tough to narrow down all of the options for the best spinning golf ball to put in play. A good way to narrow down the ball options would be to break down your own game. There are two main factors when deciding which ball to play. While swinging, your club generates a great amount of speed with the help of gravity and a big turn. The swing speed creates power and in turn, generates spin. Spin is not a bad thing because it helps get the ball in the air, but too much or too little can cause poor shots. Just like varying golf shafts, balls are made for different swing speeds. The amount of compression differs for players with diverse swing speeds. Sometimes a player with a slower swing speed would prefer a softer ball to compress it and get more carry distance. Another factor is the touch around the green. Softer golf balls will help with control and feel around the green but can give up distance to other balls. Firmer golf balls will release more because of less spin rotation. Looking for the best golf balls for distance? Check out this guide. Why would you opt for a softer, spinning golf ball? It’s simple – if you want to have more control around the greens and a greater ability to make the ball stop when hitting your approach shots. A ball with a high spin rate will allow you to stop the ball quickly, even creating an opportunity for it to rip back if enough spin is put on it. Typically, if you’re an amateur just starting out in the game, there’s a high chance you often slice the ball off the tee. A slice is a result of hitting across the ball with an open face, which causes side spin to be imparted on the ball. This will start the ball left and create a lot of side spin, which causes a curve to the right (often drastically) and eventually falling well right of the intended target. You lose yards and accuracy by hitting a slice, and this type of shot is promoted by balls which produce more spin off of the club face. Looking for a good golf ball for beginners? Check out this guide. The way a spinning golf ball is measured is by spin rate, which indicates how much backspin you can produce on the ball. Balls with high-spin rates generally consist of 3+ layers and include a large core with a thin cover, which can scratch or rough-up easily when you hit down on it a lot or hit a hard surface. The Titleist Pro V1 is the most common ball used by top tour professionals. With a spin rate of 6,900, the Pro V1 is a fail-safe option for any golfer looking for more control around the green. Compared to the ProV1x, the ProV1 is softer and has a higher launch angle. The 2016 Open Champion Henrik Stenson uses the ball and still crushes the ball but decides to use it for maximum feel around the greens. Other players of the ProV1x include Adam Scott, Rickie Fowler, and Charl Schwartzel. 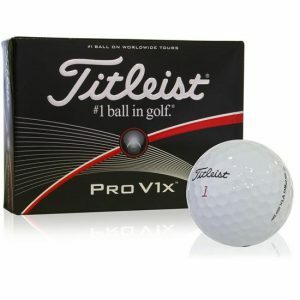 The Pro V1x can be identified by the red writing on the ball. 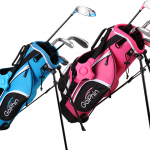 The ball offers a soft cover and a four-piece, dual core combination within the ball. It’s constructed differently to many other golf balls because it’s designed with a dual core for reducing spin on the driver to achieve more distance. Normally a ball that is constructed in this way (designed for more distance off the tee) suffers when it comes to spin rating, but not the Pro V1x. It has a soft feel around the greens, just not as much as the ProV1. A popular choice among tour professionals including players Justin Thomas, Jordan Spieth, Bubba Watson, Jimmy Walker, Louis Oosthuizen and Daniel Berger. The Callaway Tour i(s) has a spin rate of 6,900 and a launch angle of about 28 degrees. It is very comparable to both the Pro V1 and ProvV1x in both of these categories. It has a dual core system like the Titleist ProV1x. 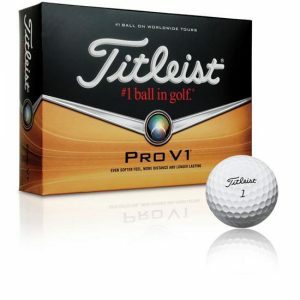 It is not as popular as the Titleist brand of ball, but a strong choice nevertheless. 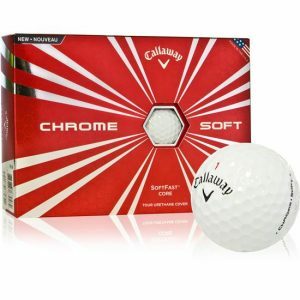 Notable players playing the Chrome Soft ball are Patrick Reed, Ryo Ishikawa, Phil Mickelson and Jim Furyk. 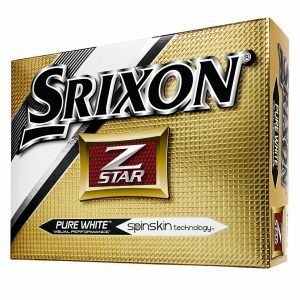 A ball which performs strongly on all measures except durability, the Srixon Z-Star does mark easily, however the reduced number of dimples in the ball (they are larger and cover more surface) results in increased stability through the ball flight. 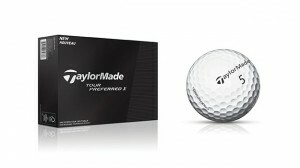 If you can afford it, a good choice and one of the best spinning golf balls delivering consistent results. The Bridgestone B330 and B330-S is comparable to the Titleist ProV1x and ProV1, respectively. The cover has a unique dimple pattern with a dimple inside of a dimple. Bridgestone recommends that players with a swing speed over 105 mph play the B330 for “Tour distance” and the B330-S for a swing speed over 105 mph for “Tour spin”. The B330 is played by Brandt Snedeker, Hudson Swafford and Nick Price. The B330-S is played by Bryson DeChambeau, Fred Couples, Matt Kuchar, and Stacy Lewis. The TaylorMade Tour Preferred X is designed for a single-digit handicap player. It is a unique, five-piece ball and has a lot of control especially with swing speeds well over 100 mph. The Tour Preferred is also for swing speeds over 100 mph but it is a little softer than the Tour Preferred X which allows for more spin around the green. Tour professionals playing the Preferred X include Justin Rose, Jason Day, Dustin Johnson, and Sergio Garcia. The NXT Tour series is Titleist’s performance ball for swing speeds less than 100 mph. If you’re using a senior, regular or even stiff shaft, the NXT Tour ball will provide distance comparable to their ProV1x series. The NXT Tour S will provide a softer feel around the greens similar to the higher-end ProV1. 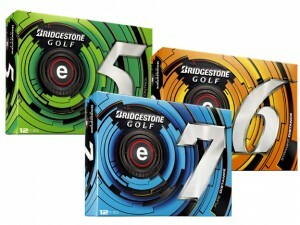 Bridgestone’s E series covers every golfer when selecting a golf ball. The E5 is their cheaper 2-piece ball that offers a durable ball to lower swing speeds. 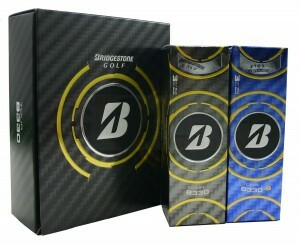 It is Bridgestone’s lowest compression ball for golfers wanting to hit the ball a bit farther with lower swing speeds. 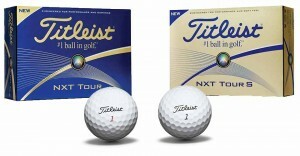 The E6 is a nice alternative to the Titleist NXT Tour S and is one of the softest multi-layered balls on the market. Both the E7 and E6 have a different web dimple patter for a uniform pattern across the surface of the ball. When hitting the ball it can help that it is uniform for a solid, consistent strike every time. 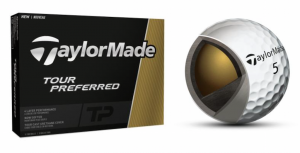 TaylorMade Project (a) golf balls delivers a better tee-to-green consistency for amateurs. Their Project (a) is a 3-piece construction that allows amateurs to deliver tour-like spin. Generally, amateurs do not spin the ball as much as tour pros which leads to shorter shots. The Project (a) balls create a compressible target to send the ball flying farther than before.